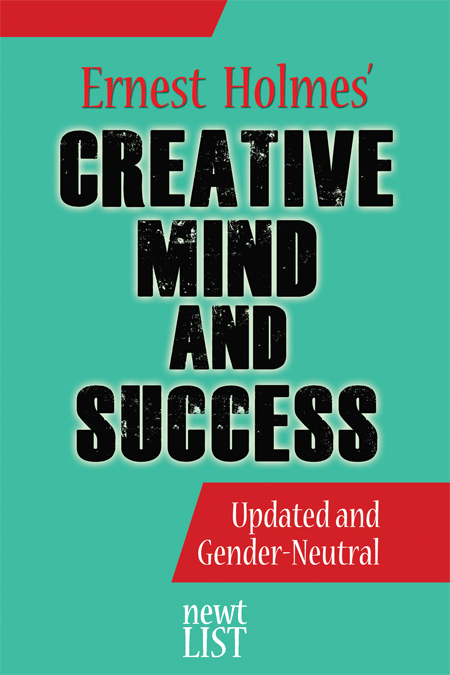 Ernest Holmes’ second book, Creative Mind and Success expands the ideas of his first book, Creative Mind. We are only what we think ourselves to be. We are big in capacity if we think big thoughts; we are small if we think small thoughts. We will attract to ourselves what we think most about. We can govern our own destiny when we learn to control our thoughts. In order to do this, we must first realize that everything in the manifest universe is the result of some inner activity of mind. This mind is God, producing a universe by the activity of God’s own divine thoughts. We are in this mind as thinking centers, and what we think governs our lives, even as God’s thoughts govern the universe by setting in motion all the cosmic activities. This is so easy to understand and so simple to use that we often wonder why we have been so long in finding out this greatest of all truths of all the ages. The original 1919 text has been updated and edited with gender-neutral language.